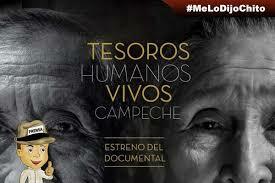 The promotion and rescue of traditions in Campeche has always been a priority for the State Government, so this Friday, November 30, at the “El Claustro” Cultural Center, the Secretariat of Culture (SECULT) will hold the premiere of the documentary “Living human treasures” at 7:00 p.m., which will recognize the professional work of people who preserve the Intangible Material Heritage of the state. On this occasion, the State Government is proud to recognize as “living human treasures” two exponents of the wide Maya Intangible Cultural Heritage of the Campeche region, Doña Feliciana Cocom May, traditional midwife and doctor from Bolonchén; and Don Eulogio Chi Tzel, born in Bécal, master craftsman of jipijapa hats, giving them recognition for their work of creation, recreation and transmission of knowledge and techniques that have been inherited, and that strengthen the identity of their communities and enrich cultural diversity. The cultural activities of Doña Feliciana and Don Eulogio are showcased in this documentary, recognizing the importance of the vast knowledge that these two modern Maya profess and the irreplaceable work that they have developed day by day in the preservation of the Intangible Cultural Heritage. Doña Feliciana Cocom May, is a midwife and traditional doctor of the community of Bolonchén de Rejón, in the municipality of Hopelchén, Campeche. Since she was 12 years old, she empirically developed this skill, and today she still supports pregnant women of her community and the surrounding areas. She has been a founding member of the Council of Traditional Indian Physicians of the Chenes and with her work she has preserved the indigenous traditions and transmitted them from one generation to the next. Don Eulogio Chi Tzel, is an artisan recognized in the community of Bécal, Calkiní for his outstanding career in craftsmanship in Jipijapa for more than 50 years. 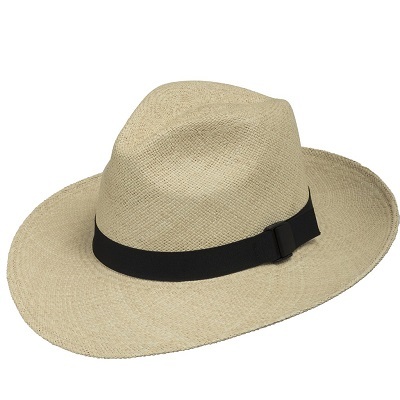 Jipijapa, another name for the Panama hat, traditionally woven from the leaves of the Jipijapa tree. This distinction is a recognition to honor Don Eulogio’s skill and at the same time preserve this knowledge. He has been an instructor in the art of Jipijapa weaving, in the town of Santa Cruz Ex Hacienda and Bécal. In the past years the man received the Campeche State Crafts Award, and obtained a second place in the Third National Vegetable Fiber Contest of Mexico, Weaving and Artisanal category. It should be noted that this preservative action is attached to the agreements of the Convention for the Safeguarding of the Intangible Cultural Heritage of UNESCO of 2003, the Maya Cultural Development Program, constituted by the governments of the states of Campeche, Tabasco, Quintana Roo, Yucatán and the Federal Government.